It’s a viable strategy! Even in the Overwatch League. The first match of Overwatch League’s grand finals just wrapped up, with London Spitfire taking a commanding lead after a shaky first map. 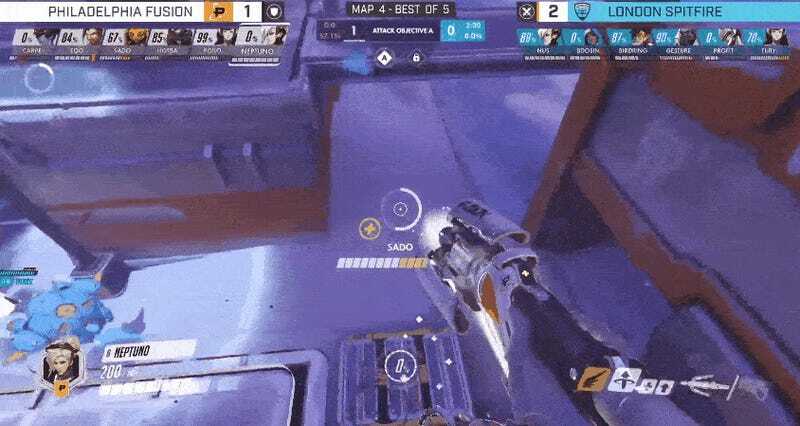 But on the final map, Volskaya, Philadelphia Fusion gave it their all and then some in an attempt to shoot down a surging Spitfire. Just when London seemed to be in position to take the first point—which would’ve put them within spitting distance of winning the whole match—the clouds parted, and a light shone from the heavens. Alas, it ended up being for naught, as London continued to pour on the pressure, with Joon-yeong “Profit” Park putting on one of the best performances of his life and single-handedly wrenching victory from the jaws of, well, not defeat necessarily, but at least a tiebreaker map. The series continues tomorrow, and given how bonkers this has already been, I’m excited as hell.